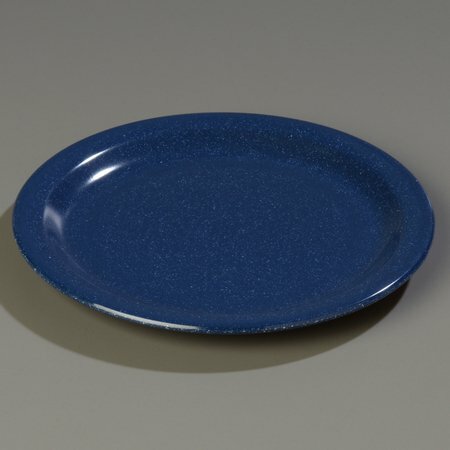 This Carlisle 4350335 café blue Dallas Ware salad plate is stackable and has a reinforced rim and foot. It is made of melamine for durability and resistance heat and is safe for temperatures up to 212 degrees F. It is resistant to staining and scratching. This salad plate meets NSF International standards for use in food handling and processing, and National Institute of Standards and Technology (NIST) standard PS25-70 for heavy-duty melamine tableware. It measures 0.74" in height and 7.19" in diameter.